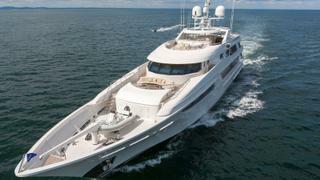 Superyacht owner, businessman and philanthropist Carl Allen has purchased the island of Walker's Cay in the Bahamas. Allen describes his relationship with the northernmost Bahamian island, which he has been visiting since a child of 12, as a "love affair". "I've been going out there since I was a little kid," Allen says. "Walker's was destroyed by two hurricanes back to back and was closed to the public in 2005. Since then I've dreamed of working together with Bahamians to build Walker's back to its former glory. I decided it would be a good base for my fleet." 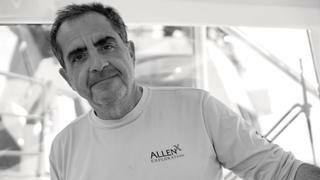 Allen is a serial yacht owner and the CEO of Allen Exploration. His fleet includes the 50 metre Westport superyacht Gigi, a 55 metre Damen support vessel Axis and Viking 52 Open Express Frigate. He plans to revitalise the island's marina and use it as a base for his yacht fleet, which will be kept there half the year and travel the other half. This is not a private venture as the marina will also be open to the public. The first stage will be to fix up the marina and dredge the basin so that its 3.9 metres all the way through. The phased approach to the reconstruction of Walker's Cay will start with the marina itself as well as island infrastructure, power and a big water de-salinisation plant so freshwater will be readily available. Allen plans this to be a zero-waste island and is installing an anaerobic digester to compact trash into small cubes as well as investigating ways to generate power from it. 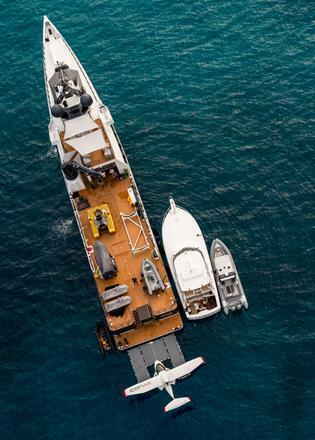 The marina will be able to accommodate six superyachts up to 55 metres and plenty of sportfishing yachts up to 27 metres. This part of the Bahamas is known as a sportfishing destination. Beyond sportfishing, the island is also an ideal base for diving and surfing. "I found out there's a surf break off Walker's that ranks up there as one of the top in the world," Allen says. Plans call for the marina to be finished in a year and open in time for summer 2019. Upland plans will be rolled out in phase two and three, which will include the church on the island being restored, and a marina store and bar being opened. Instead of a big hotel, Allen is considering casitas or villas, so the island retains a more personal feel. There will also be pavilions designed to host fishing tournaments. Allen believes in creating jobs, and this was also a driving impetus in his purchase of Walker's Cay. He wants to breathe life back into the island that once provided jobs and livelihoods for many Bahamian families. "I've spent more time in the Bahamas than anywhere else other than my home. My wife, Gigi, and I, as well as our children, love this country and have been blessed and priviledged to make so many friends here," Allen says. "Taking on the re-development of Walker's is a dream come true for our family. I've learned in my business career that with a great team you can accomplish great things. We plan to work together with folks here to restore Walker's Cay and envision this rebuild as a partnership with the Bahamians to create jobs – good paying and secure jobs – strengthen families and develop a lasting economic driver for future generations."